Melody Uniquely designed Curved Bluetooth Speakers by Capella Philippines! I would like to thank you guys for sending us this unique Speaker for us to unbox and review.Okay let's begin shall we? Unmasking the true form Capella Curve! At first, I was looking it to place it on my head using it as a headphone HAHA! 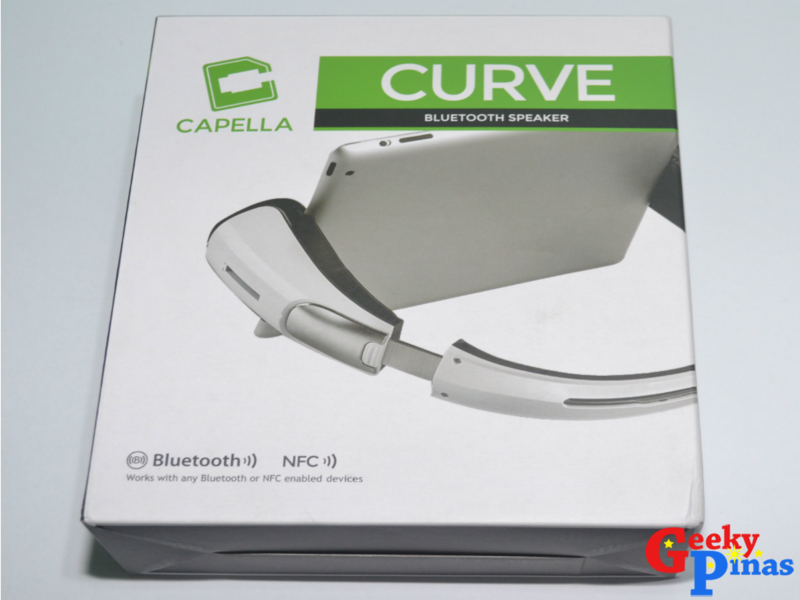 But It clearly shows that the Capella Curve Bluetooth Speaker is truly unique. I decided to doodle Google to see if there is one out there that is comparable or maybe the original manufacturer, In the end eventually i found nothing. 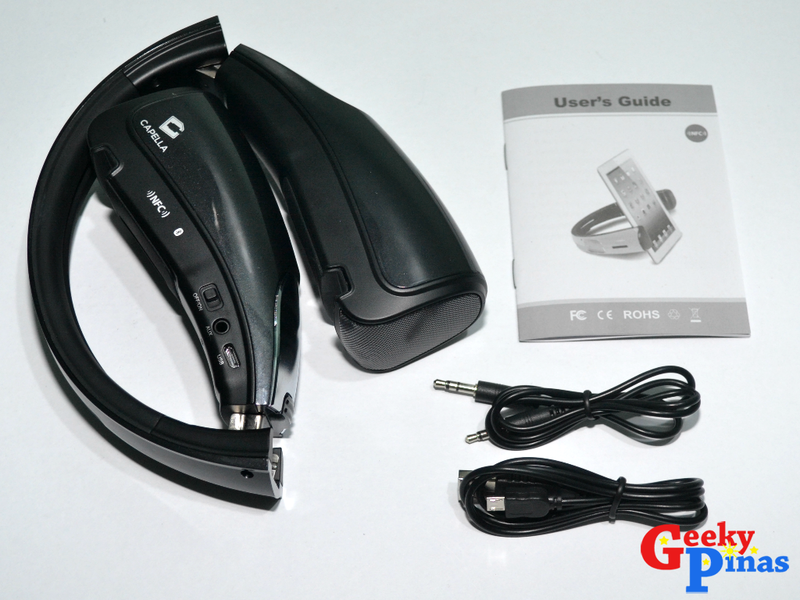 Capella Curve is very simple to use and operating it will not give you so much trouble. As you can see that the whole interfaces are in-line and manageable. 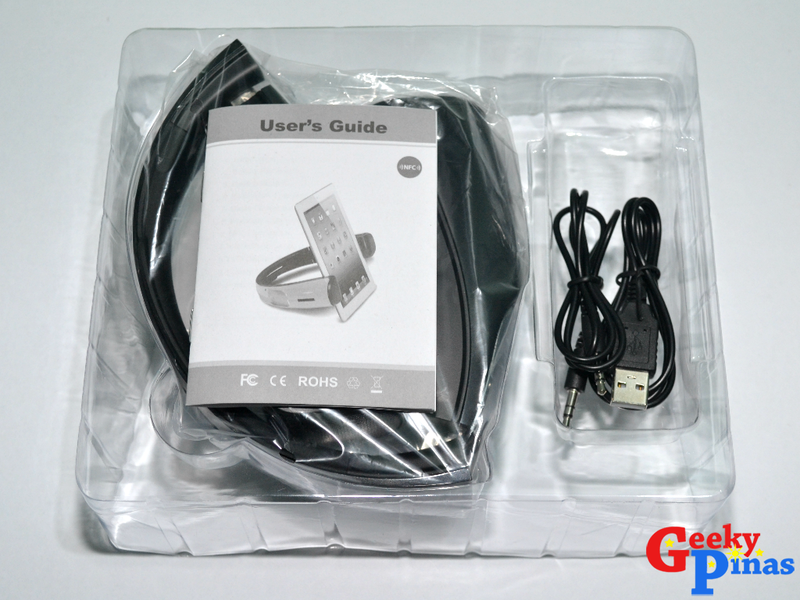 Everything is visible on one side from power buttons, auxiliary port and the USB charging port. Underneath as well there is a microphone hole. Ooh Which reminds me, you can speak directly to the Capella Curve instead of the microphone of the tablet or smartphone. 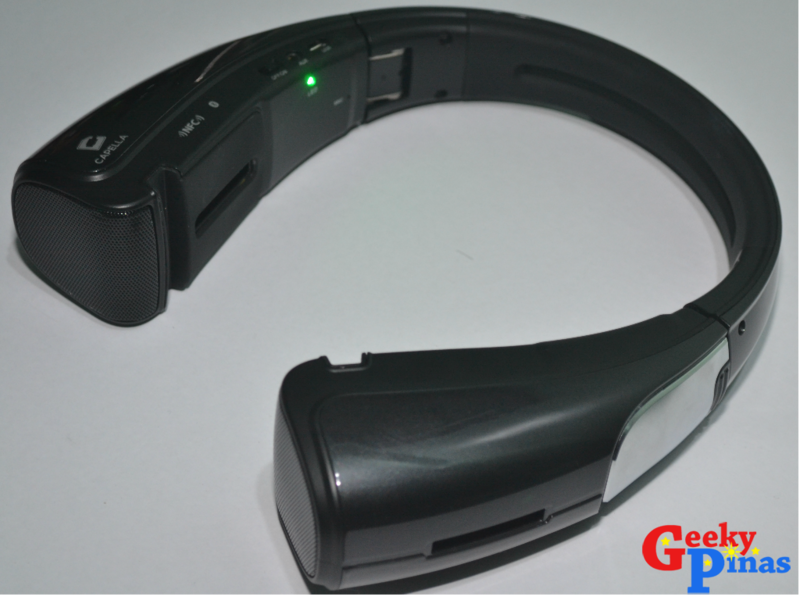 Which this can give you a louder sound production when communicating with someone while on Bluetooth speaker mode. This speaker is ergonomically designed to its purpose. I don't have a tablet to attach with for complete testing platform and for the picture feel as well. Build for the device is sturdy but to let you guys know that every joint and mechanism every time you fold it to have it packed inside your bag have always limitations. On the note; Angular Cables should be the best for this device in for cable management purposes if you are planning it only as a speaker desktop solution. 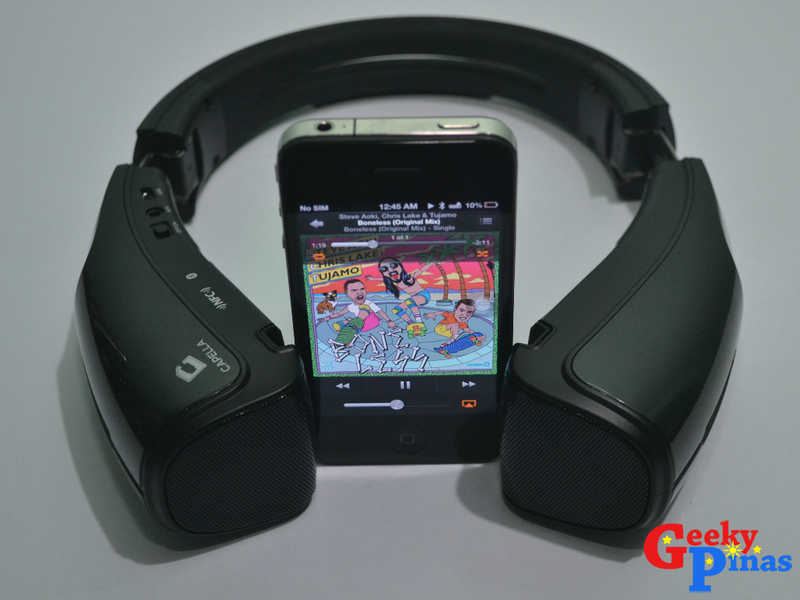 Capella Curve speaker is seriously loud, it can fill the 15 sqm condominium space with music! I will classify this speaker as transparent signature meaning its easy to hear into the music, detailed, clear, not muddy. 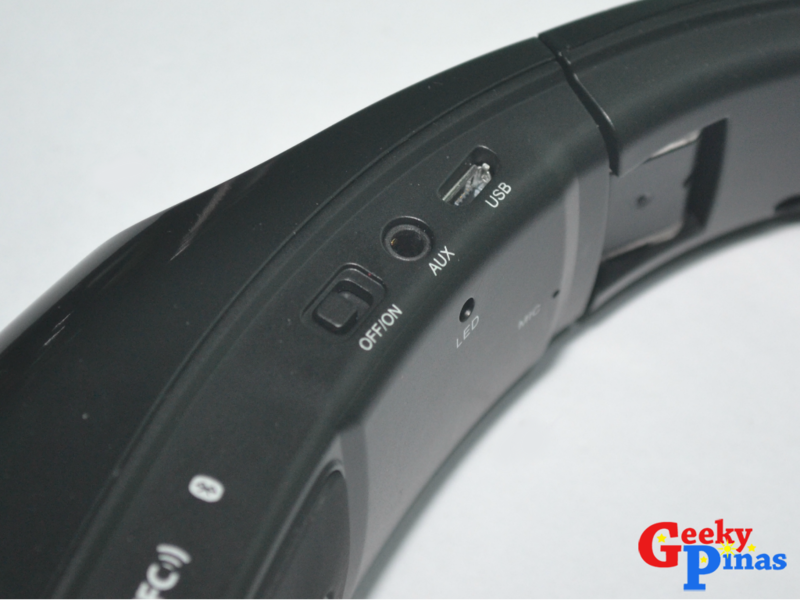 Wide flat frequency response, sharp time response, very low distortion and noise. A hear through quality that is akin to clarity and reveals all aspects of detail. On the note; the Speaker seems to have tight bass and sub bass hidden on its arsenal. Based from observation that this speaker is not yet on its burn in time rate of 90 hours and very acceptable on my hearing standards. Capella Curve is uniquely melody designed for tablet fans in my humble opinion. For the suggested retail price of PHP 2,950.00, I'd say it's a good buy for making the tablet as a music station inside the room delivering above average music production. Capella Philippines Website: Click Here!